The game code within the public beta will be ahead of the retail version and will contain certain fixes and improvements to the game which will still be in testing. This may be stability fixes, bug fixes, match engine improvements, essentially anything which can be addressed by an update in game. It’s entirely opt-in, the only thing to bear in mind is that it will be later code, (say 19.2.3 rather than 19.2.2) so if you save your save game in the public beta, you will only be able to load this same save in the public beta until the retail version is updated. The public-beta version of the game is available via Steam by following the instruction below. Upon launching the game, the improvements should be active. I run in full screen. Low graphics, retina turned off. A little jumpy and not smooth at all (as it previously was before the update). Fan noise during every match and during processing between match days (again, was not getting this before the update). I've ran in both windowed and full screen - No difference. Same with turning retina display on and off. 2D & 3D are both equally poor. Not only during matches but during menus as well. Have looked into ways to revert back to 19.2.1 but there seems to be no way. Always lags during a match and even on the menu - pretty much unplayable right now. Only run spotify, but that was fine before the update - have tried running it with no other applications open and has no effect. got a brand new computer when I got this game and it was running fine 5 star graphics and match play was smooth. since the update the match play is laggy, fan going full blast. It always lags during a match (both 2D and 3D) at mid level and low level settings. It also lags in menu and during processing. Before the 19.2.2 update it works very well. Running in Full Screen usually, but attempted Windowed to see if anything improved - it didn't. Never had any issues until today, where it's noticeable sluggish, not just during Matches but every single screen really, menus are hard to navigate and the fans are constant. I've always ran it on High Quality, utilising 3D and with Safari (and other things sometimes) running in the background and have never had any issues with it, or if I have I've simply closed out of something else and it improves... but I've tried everything, including lowering quality and quitting every other application, and its still basically unplayable. 2,5 GHz Intel Core i7 - 16 GB - NVIDIA GeForce GT 750M 2048 MB - 500GB SSD. After the update, it's lagging everywhere. Running in Windowed mode in an external monitor with 2560x1080. I've always run it at medium level. In the FM2018 the 3d performance was generally better than in 2019. Since the 19 release, i've been watching matches in Data Analyst view as it was the only 3d camera that did not lag. Apart from that i've been able to play ok until the 19.2.2 update. It's worth mention that in the 19.2.1 I was also experiencing some big lag when changing parameters searching for player or staff. It's the same playing with other programs opended or not. Lag causing game play to be intolerable. Did notice some lag even with the login screen, processing timeline as well. I was not having any issues before today's patch. Run in Full Screen (1440 x 900) with Use Retina Display checked. Match 3d with high graphics quality. Fresh machine reboot with no other programs running. Since the update it lags during every match. I have tried all manor of graphic levels ranging from the lowest to the highest level. I have also played the game in both 2D and 3D across different graphic levels and experienced the same lag and stuttering. The menus and other elements outside the game play also are effected since the update. The biggest one I have noticed is team talks & press conferences. It’s extremely slow to respond to me trying to select what and how I want to say things. Background programs are very jumpy and slow to respond while Football Manager is running. 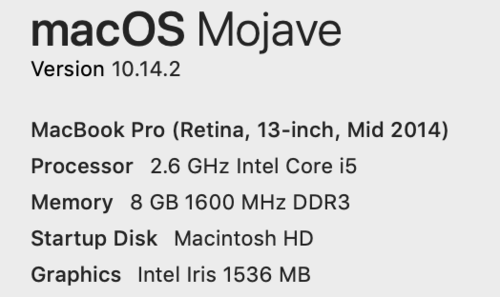 As soon as I shut the game down the Mac runs at full speed without any issues again. Have problem both 2D and 3D. It's very laggy and unplayable. I' ve never had any problem until this update. I didn't understand what happened in this update.. It's lagging during the match but also everywhere else, including the main screen where you can see your manager's body. I used to run it recommended and in 2D, but after the issues I switched to low and very low, and it's still the same, choppy. Same with 3D. The entire game feels broken. Everything is just super choppy, very low fps. Everything takes a second to register. Even just running my mouse cursor up and down my squad list, the 'hover highlight' takes a moment to appear. Before the update, it wasn't SUPER quick but it was never this bad. The cooling fans are also now constantly on full blast. I've done everything in the FAQs, even set match details to minimum and removed some leagues to the point my game speed is rated at 4.5 stars. Same thing. Laggy. Turned everything off. Weirdly, when I opened Safari, it calmed it down a little and the game became a tad more responsive. Still broken, but a little more responsive. We are aware of the issue and we are working towards a fix. - Macbook Air 13-inch, 2017, 8gb 1600 mhz ddr3. 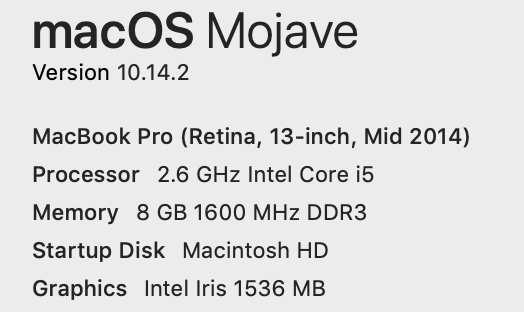 MacOS Mojave 10.14.3, intel hd graphics 6000 1536 MB. - No, I'm not running any other programs. Unfortunately we can't give you an exact time frame as to when it will be fixed. I guess if we delete the game then reinstall because its a digital game it will just install to 19.2.2 rather than letting us untick auto update and stepping up to 19.2.1 ? Full screen mode, 3D. Fairly low graphics settings but ran smoothly prior to this update, is now basically unwatchable as it is so jittery. I appreciate you can’t provide an exact timescale, but can you give us a rough indication? Are we talking hours, days, weeks, months? Is re-releasing the prior update an option? It is your failure to test and QA this update properly that has rendered your product broadly unusable for a number of your paying customers, I don’t think it’s unreasonable to ask roughly when you will have restored it to a usable, saleable state. Should have added, I generally have Steam (obvs) and iTunes running. Switched off iTunes, no difference. I have issues since the update, my engine is always running loudly and my match lags even though I use 2D and it was fine before the update. More precise system info here. Oddly, goal replays seem to display fine - nice and smooth. But everything else in the match engine is horrific. Not noticed any great deal of wider UI slowdown - possibly a bit, but nothing anywhere near as drastic as in the match engine. Couldn't agree more on this point! Mac users are always ignored! I’m not sure we’re being ignored, they are working on it. Of course, they shouldn’t have F’ed it up in the first place, and I do agree that if this were to have happened to a darling YouTuber, people would be surged on to the fix 24/7. Which I’m pretty sure they’re not. - What graphics quality level (low, medium, high etc) do you run in? Does this happen in other settings? Does it happen in both 2D and 3D? I only use 2D. It happens on all settings from low to very high. - Are you running any other programs at the same time? Does the lag get worse if you interact with separate programs (say a web browser) whilst running the game? The lag is the same when there are no other applications open in the background as when there are a few of them in use. It really is a poor experience for us normal people! a lame apology will be the only thing to come out the back off this aggravation! not after an apology , but its poor practice , as previously mentioned , to release an update that they clearly haven't fully tested . Doesn't reflect well on them. Same problem here even 2d classic is totally unplayable. I completely understand your frustrations, it is natural considering you are unable to play the game. However, I can assure you that we are working hard towards finding a fix, we just ask for your patience as these problems are often complicated and may take a while to fix. The fix is not always as easy as it may seem so we ask for your support. Why can't you just release the pre update file for us to download so we can at least continue playing while you do better tests with the new update file. Why are we not able to remove the patch or redownload an unpatched version? Pathetic. It is what it is I guess, nonetheless it is hugely frustrating for Mac users, and I appreciate you guys are working hard to find a fix. But surely you test any update extensively on Mac systems too? I mean, surely somebody would have flagged up an issue with its performance, judging by the number of users who have reported it here. + Always lags during match since the update. Also some delay in the rest of the game between clicking and action occurring. Even the graphics when loading the game from the start screen stuttered. + Usually run all graphics on medium, but switched to low to try to overcome stuttering. This produced a slight improvement, but the game was still almost unplayable. Stuttering still happens in 2D. + Lag was not noticeably worse with Safari running, but that may be an artifact of the lag being so bad to begin with. Hopefully you will learn from this experience and test your updates on both PC and MAC BEFORE releasing . So far its been three days which , imho , its unacceptable . Same issue, no more FM for now. I hate Apple. Any form of timeframe for a fix for this? i wholly appreciate the work the work that goes in to making, maintaining and patching the game but as has been stated before me, the game is drastically unplayable currently. Hi. Please release some sort of rollback here so we can play through the weekend. Hi again. I think that it will take a long period. So, if it's "possible", could you please release the pre update version? Apple has the most stable operating system out there , the blame is purely with SI and there lack of respect to Apple users resulting in the release of an unavoidable update which ruins the game. agreed , one person giving a generic reply every now and then just isn't good enough.